Christine, a blogger at Find New York, writes exclusively for Bianca's Book Blog on her own engagement with Henry James' "The Turn of the Screw", and talks about why, for her, it is one of the greatest ghost stories ever told. ‘The Turn of the Screw’ was regarded as “one of the most appalling ghost stories ever told” in the December 8, 1898 issue of 'The Nation'. Probably there are many people who still agree with this statement, myself included. So why is that? What contributes the most to making this story not only one of the most appalling, but also one of the most complex and outstanding ghost stories of all time? We have to figure out what differentiates this ghost story from the usual ones. Everything is set for the typical ghost story: the gathering at Christmas Eve, the big country home at Bly with the stairs, the candle lights that are mysteriously blown out, naturally the 2 ghosts and the governess who has to deal with the situation. These are all typical elements; however, the entire story cannot be labeled as a typical one. When analyzing this work of fiction it is safe to say that this is yet another example of Henry James' prose which focuses more on the psychological insight of the characters than on what actually occurred. 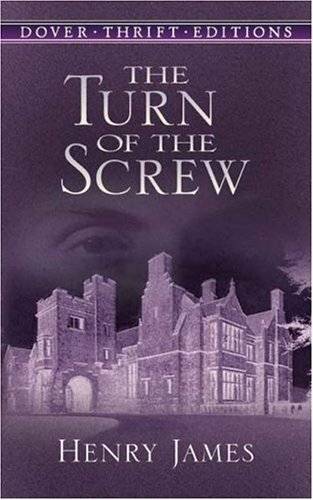 Conscious and unconscious, corruption and innocence, reality and fiction, certainty and doubt, ambiguity and suspense: all of these play an important role when it comes to 'The Turn of the Screw'. Even such basic roles as that of the narrator are distorted in a way. Can we trust the narrators, and consider what they say to be true? How reliable are they … either of them? On one hand, Douglas was infatuated with the governess, and therefore wants the listeners to consider the story credible. He definitely does not want to give any thought to the possibility of considering the governess delusional. On the other hand, how reliable can the governess be, since she has a subjective point of view? Yet again, we have the reliability of the written word, in the form of the manuscript that she left behind. Douglas insists upon reading it instead of telling the story himself. People tend to believe something that is written rather than something that is told. As far as the character of the governess goes, contradiction is also a matter to be discussed. During the story, she herself admits that she has a vivid imagination and that she is easily carried away. The author intentionally creates her in a way in which she could be both: a delusional person, blinded by her inexperience and the looks of her employer and a heroine wannabe, who is sincerely concerned about the children and wants to do everything in her power to protect them. It is our job to decide whether she can be trusted or not, whether the ghosts really want to harm and possess the children or not, since both situations could be possible. The open ending is why we have to deal with an untraditional and indeed appalling, gothic story, and is also what allows us to speculate … what happened to Flora? What about the others? Was the governess insane or was she the only person capable of saving the children? Did the ghosts really appear? The doubt, suspense and uncertainty do not stop, even after you finish reading – and this is why we have to deal with a different kind of ghost story. The alignment of possible realities is a key element of this work. We only get pieces of the puzzle, but it is up to us to complete/finish it. In this sense, Henry James' work as an author is brilliant, because he does not lay down the exact story, but gives the opportunity of interpreting it on many different levels.